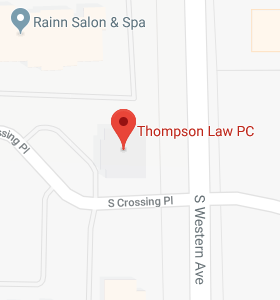 Estate Planning is Too Important to Procrastinate - Thompson Law, P.C. Most of us recognize that estate planning is the loving and responsible thing to do. 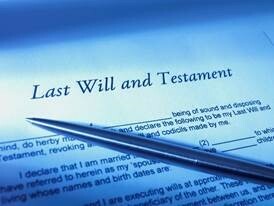 Yet, only 44% of adult Americans even have so much as a simple Will, according to a Gallup poll. Things Get Done. We procrastinate until we are faced with a deadline and the deadline motivates us to action. With estate planning, the deadline is our incapacity or death. “However, no one knows the day or hour when these things will happen, not even the angels in heaven…” Matthew 24:36. Life Goals Have No Deadlines. Unlike in school or at work, the deadlines are non-existent. The lack of pressure leads to inaction. You Don’t Know What to Do. According to Psychology Today, procrastination sometimes is a red flag indicating a lack of information. As a result, the brain stalls, resulting in procrastination. But, it’s necessary to push past the impulse to procrastinate. Set an appointment with an estate planning attorney to find out more information and become more comfortable with the decisions you need to make. Whether or not you procrastinate, life goes on and incapacity or death may be around the corner. The onset of incapacity without having a plan in place leads to a court proceeding often called a conservatorship. In a conservatorship, your lack of capacity is determined in a court proceeding and the court appoints someone to manage your affairs. Furthermore, planning in advance can allow you to plan for nursing home costs and qualification for Medicaid. Death without a plan is “intestacy,” which is a distribution of assets pursuant to a cookie-cutter distribution scheme determined by the state legislature. Seldom is that scheme the same as a plan you’d craft for yourself. Not only is the division not the same as you might have planned, it offers no divorce protection, creditor protection, or protection from poor judgment. Planning, with a Will or Trust, can provide these protections. The lack of a plan also leads to a higher probability of family turmoil. Just when your family needs each other the most, they might be torn apart by dissension. The loving and responsible thing to do is to plan your estate. Make an appointment with an estate planning attorney today.